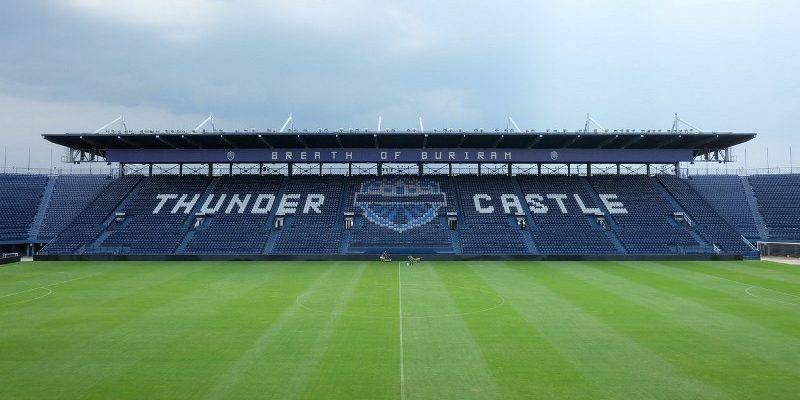 BURIRAM (2 Nov 2018) – One of the biggest teams in ASEAN – Buriram United – have formed a partnership with German Bundesliga side Borussia Dortmund. The deal will see both clubs collaborating on youth development with young talents from Buriram United given the opportunity to participate in training camps at Borussia Dortmund. An exhibition match between Borussia Dortmund’s ‘Legends’ and a Buriram United selection team will take place on 18 November 2018 at the Chang Arena in Buriram, Thailand. “Dortmund is one of the teams we have always admired. We like their style of play and also the way the team is organized so professionally. We have always admired the Dortmund fans who are some of the most passionate around the world, be it their songs or their cheering style. Everything they have done is always reflected on the number of tickets sold per match, with a near full capacity especially the “Yellow Wall” where only season tickets are sold. Although Buriram United has a proud history of 25 trophies in 9 years, we are still considered an incredibly young club and we look forward to having a top team such as BVB as a partner. We believe that there is much we can learn from each other throughout this partnership,” said Nevin Chidchob, President of Buriram United. “We are extremely pleased to have Buriram United as one of our partners and I’m more than thrilled that we have further secured the legends match against a Buriram United selection team in November. Our players are excited and are looking forward to play in Thailand and I’m grateful for the support and faith that Buriram United have with a club like Dortmund. I’m confident and positively sure that this will endeavor in bringing about a great development between the two clubs,” said Carsten Cramer, Chief of Marketing of BVB (parent company of Borussia Dortmund).